Lisle Arthur Atkinson (Born September 16, 1940, New York, NY; Died March 25th, 2019, New York, NY) is an American jazz double-bassist. Atkinson played violin from age four and switched to stand-up bass at twelve years of age. 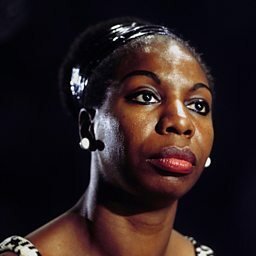 He attended the Manhattan School of Music, and after graduating worked was Nina Simone's bassist from 1962 to 1966. He also worked with the New York Bass Choir and Les Spann during this time. He played with Betty Carter from 1969 to 1971 and in the 1970s worked with Kenny Burrell, George Coleman, Andrew Cyrille, Maynard Ferguson, Dizzy Gillespie, John Gordon, Jon Hendricks, Helen Humes, Hank Jones, Wynton Kelly, Howard McGhee, Horace Parlan, Hazel Scott, Norman Simmons, Frank Strozier, Billy Taylor, Clark Terry, Stanley Turrentine, and Richard Wyands. He formed his own group, the Neo-Bass Ensemble, in 1983, which included five bassists, including Paul H. Brown, a pianist, and Al Harewood on drums. In the 1980s he also played with Benny Carter, Lee Konitz, Grover Mitchell, Joe Newman, Dakota Staton, and Ernie Wilkins. Associations in the 1990's and 2000's included Barry Harris, Leroy Williams, Jeanne Lee, and Sir Charles Thompson.